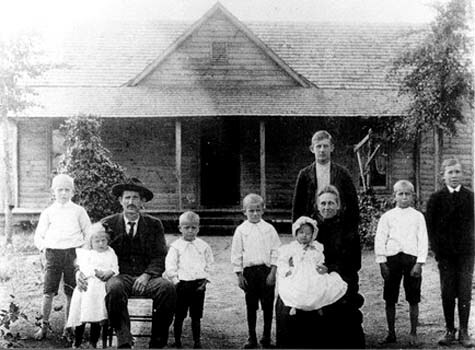 Left to Right: Arthur, Elizabeth, Joseph S., Ashton, Thomas, Lucy holding Clyde, Willie standing behind Lucy, Clinton, "Bunnie" Lewis Bunyon. [S1452] Unknown author, Alford Family Tree. Death*: Ann Dorothy Privette died on 24 October 2009 at Rincon, Effingham Co., GA.
[S1118] 1930 Carteret Co., N.C. Census. [S843] 1880 Pickens Co., Ala. Census. [S844] Unknown compiler, "Alabama Marriages 1809 to 1920", Ancestral File. [S845] 1900 Pickens Co., Ala. Census.